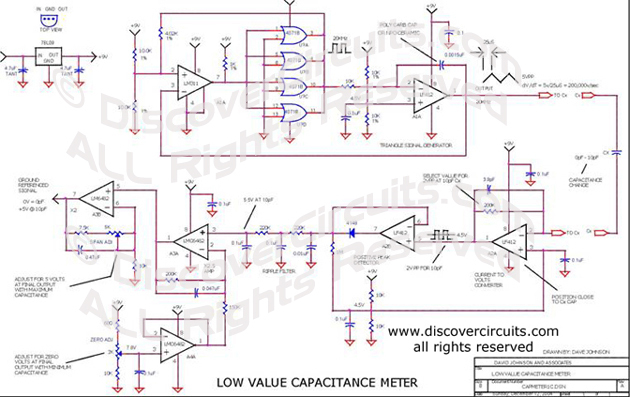 Circuit: Low Value Capacitance Meter__ Circuit designed by David A. Johnson, P.E. This circuit was originally designed to measure the volume of fluid inside a medical syringe. As designed, it produces a zero to 5 volt output, corresponding to a capacitance change of about 10 picofarads. With a digital voltmeter, at its output, it can resolve a capacitance change of 0.002 picofarads or 2 femtofarads.